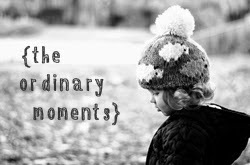 This is my first Ordinary Moments link up to Katie's Sunday linky at Mummy Daddy Me. I love this linky as it has made me sit down and have a good recap of my week. There have been plenty of extraordinary moments, as there are every week with my boys, but when I really look there are also plenty of ordinary moments that mean so much to me. My first Ordinary Moment has to be this one that I took on our day to Westonbirt Arboretum this week. You can read in a previous blog post (Some days just don't go to plan) how our day didn't really go as well as it normally does on our trips here. It is Finley sat on a bench eating a snack. This to anyone else is nothing special but to me this is Finley, my hungry toddler that likes to have a little break from his adventures to have some food.